How Jane Austen helped inspire Elena Ferrante’s disappearing act. Photo illustration by Natalie Matthews-Ramo. Photo of woman by Focal Point/Shutterstock. Lila’s episodes can be read as both a mysterious nervous condition and a profound insight into the nature of her rapidly shifting 20th-century world. Ferrante explores them through the lens of her narrator, Lila’s friend Elena Greco, who in turn sees them through the refractions of her endlessly complex—and envious—fascination with her counterpart. This distance enables both Elenas to write about the theme of “dissolving margins” in a way that is never overwrought, but instead penetratingly precise—revealing a problem that is metaphysical rather than sentimental. The need to create a more capacious authorial persona is, Ferrante implies, especially urgent for female writers. 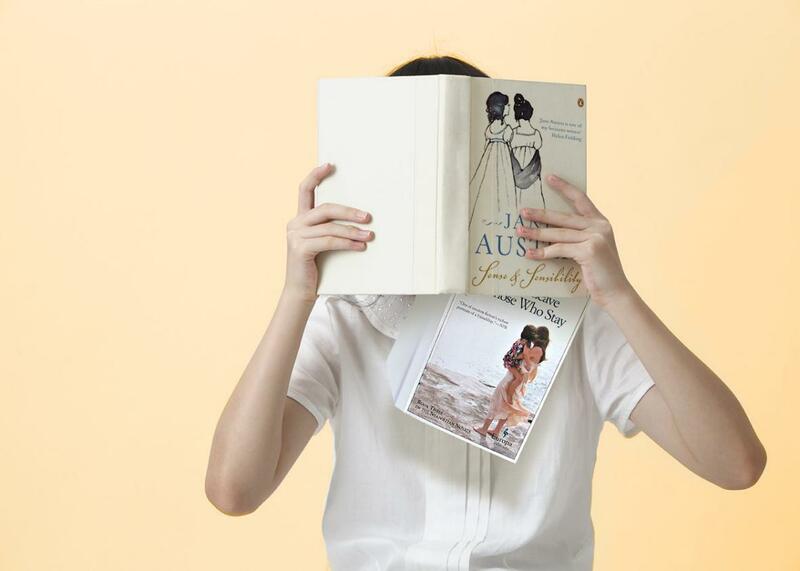 At the beginning of the introduction, she admits that as a teenager, she didn’t care for Austen. “I was enthralled by the great male adventure novels, with their stories that ranged all over the world, and I wanted to write such books myself: I couldn’t resign myself to the idea that women’s novels were domestic tales of love and marriage.” Ferrante’s own heroines do travel, and engage in the highest order of political and intellectual disputes—Lila and Elena are swept up in the socialist protests of 1968, and in the early days of the feminist movement. But their dramas are also, essentially, domestic. Like Austen’s novels, Ferrante’s are, on at least one fundamental level, a study of good and bad marriages and how they determine women’s fates. She gives her characters’ lives, and their interior selves, the exigency of an adventure story by writing about them with a corresponding velocity. Ferrante suggests that for Austen to accomplish this, she had to invent a version of her own consciousness that transcended the limitations of her life as a woman born in the 18th century; Austen could not write with “a clear gaze” about her social confinements while trapped within them. A woman like Austen—and perhaps, for all we know, like Ferrante, too—was probably forced to steal time to write in “a common room, a space not hers,” and to “hide her pages” whenever someone came in. Ferrante describes the lady-writer flickering into being in the brief moments when Austen felt free, disappearing at the first threat from “the disorderly world of the everyday”—the real life of the real and limited Jane.